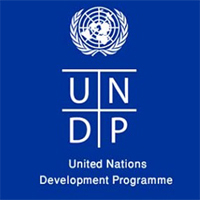 With the 2030 Agenda for Sustainable Development at its core, and in response to the General Assembly resolution 71/243 on the quadrennial comprehensive policy review of operational activities for development of the United Nations system, the UN Secretary General’s report (December 2017) “Repositioning the United Nations development system to deliver on the 2030 Agenda: our promise for dignity, prosperity and peace on a healthy planet”puts forward a comprehensive proposal on further improvements to the resident coordinator system to ensure more coherent, accountable, and effective support for the 2030 Agenda. The report was further reinforced by the General Assembly resolution 72/729 of 1 June 2018, which gave the Secretary-General the mandate to implement the UN repositioning agenda by reinvigorating the resident coordinator system. While the resident coordinator system has been instrumental in driving coherence on the ground over the past four decades, it is now high time to give it a new impetus to ensure the UN is well positioned to provide high quality and relevant technical support to countries to deliver the 2030 Agenda. To attain the desired goal, the resident coordinator offices will need to be adequately staffed to ensure it has sufficient substantive capacities to lead United Nations country teams. The Economist position is part of this new generation of resident coordinator office, with the new skillset and competencies required to deliver on the 2030 Agenda.